Heimtextil is the biggest international trade fair for home and contract textiles, it is a climate and trend barometer for the new business year. The Heimtextil 2019 exhibition will be held between 8 to 11 January 2018 in Frankfurt am Main, Germany. Tuesday – Thursday: 8. – 10.1.2019 9 a.m. – 6 p.m.
Friday: 11.1.2019 9 a.m. – 5 p.m.
Why exhibit at Heimtextil 2019 Frankfurt? As the world’s largest trade fair for home and contract textiles, is the season opener for new trends and textile innovations. 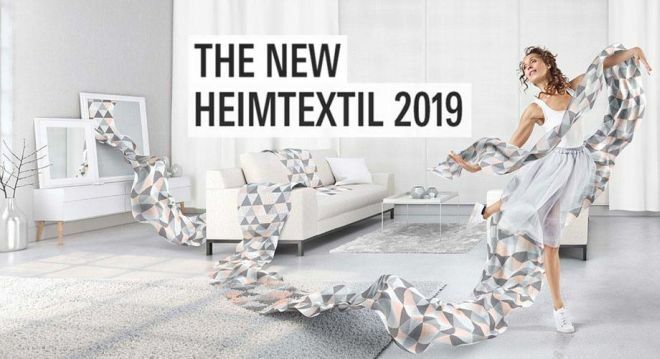 Over 3000 exhibiting companies and more than 70,000 professional visitors are preparing to attend the upcoming Heimtextil 2019 Frankfurt. At Heimtextil 2019 you meet so many international trade visitors and decision-makers searching for the patterns, colours and trends of the season. The new trade fair concept from 2019 includes a new hall structure with the addition of the new Hall 12 without Hall 6, which is currently undergoing renovation.